Ask an L.L. Johnson representative today how you can take advantage of these rewards programs as you grow your business. Contractor’s Choice™ is the only contractor rewards program that offers rebates on the combined purchases of 2 irrigation brands! Maximize your reward by pooling your purchases. It’s easy to calculate your rewards with Contractor’s Choice. We use a straight-forward formula that is fair to all customers, regardless of size. 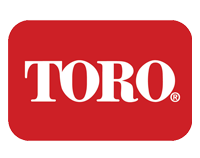 The Toro and Irritrol brands continue to raise the bar with innovation. Watch for special offers on new and select products. Rain Bird’s new Rewards Program makes it easier to earn more! Rewards and benefits help you grow your business. Join today – and get the benefits you need to take your business to the next level. 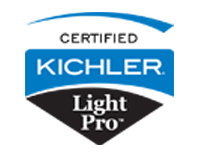 By choosing Kichler landscape lighting products, you will not only benefit from a complete line of easy-to-install professional-grade landscape lighting, but you will also have an opportunity to become a LightPro Rewards Member. Join thousands of successful landscape lighting contractors who have grown their business with Kichler while earning numerous rewards and prizes. 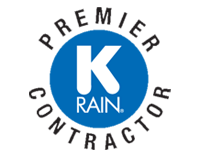 As a K-Rain Premier Contractor, you will earn loyalty points towards valuable rewards for every purchase of K-Rain professional irrigation products. From rotors and sprays to controllers and drip, K-Rain offers a full line of professional, innovative products to help you grow your business and increase your bottom line. Your points can be redeemed for a variety of rewards – like marketing and advertising materials, training, promotional gear, and distributor credit towards your irrigation product purchases. The K-Rain Premier Contractor Program also offers you a unique mix of resources to enhance your professionalism, rewarding your smart business decision to use K-Rain.